Although this was back in the year 2010, it is still relevant. This question encouraged him to start a research in his Skeletal biology lab – The result of which made the professor to ditch his shoes (read on to know why). Now, he is the “barefoot professor”. 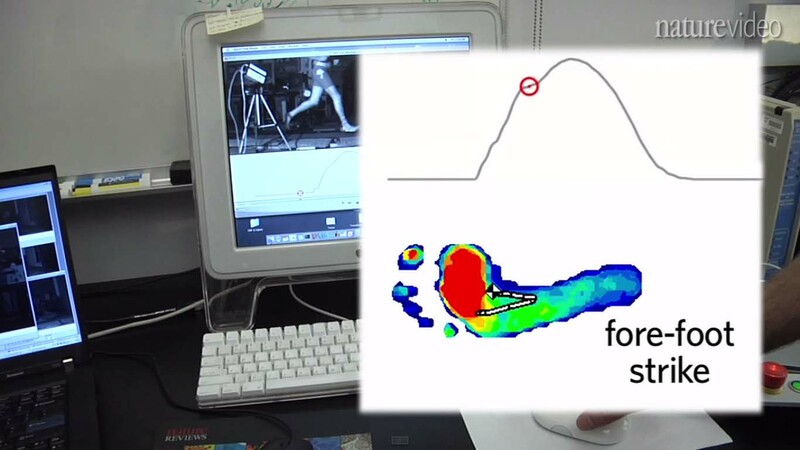 In their research, they observed and studied several cases of people running with and without shoes. With the help of modern technology (again) they were able to map out the kind forces that are experienced by the foot in both cases. 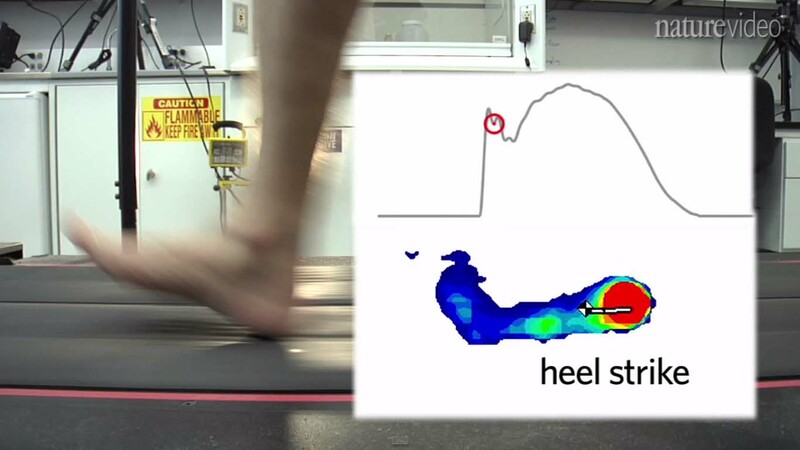 Moreover, they found a stark difference in how people run with shoes, and how they do it without shoes. Running with a shoe: When people run with shoes, they tend to rely on the soft cushion at the heel of the shoe, and most of the time they land on the heel. This abrupt landing creates huge impact forces and hurts your foot. In the long run, it causes problems. Nature clearly didn’t design the foot to run with shoes! As the video screenshot shows… (the running style is of course shown without the shoe). Running without a shoe: Now, that doesn’t happen when you run without a shoe. Since you don’t have a cushion to rely on, you tend to land on the front part of the foot (with almost a parallel footing, a little tilted towards the front). This part isn’t solid like the heel. It has been crafted very carefully by the nature to absorb the impact forces (or in other words to delay the time for which forces are experienced, like a shock absorber). That means, there are no peak impact forces. The curve, as you can see is a beautifully smooth curve, without peaks. In the following video, Madhusudhan Venkadesan explains this using a simple pen analogy (at 3:52). Hit like, or share it on Facebook if you learnt something from this article. It will help this website (an honest effort by me) to grow.